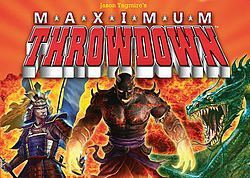 Maximum Throwdown pits up to six players against each other in a battle royale of card-throwing action. Try to cover up your opponents' icons while keeping yours visible. Revealed icons grant awesome special abilities to use in the arena. The player with the most points wins!